Human rights group CAGE says its permanent loss of funding from two British charities is another manifestation of the Charity Commission's “Cold War” on Islam. The funding was cut following a regulatory alert issued by the Commission last week. British MPs and media commentators have vilified the human rights group in recent weeks for suggesting UK intelligence agency MI5 may have contributed to Emwazi’s radicalization. The Joseph Rowntree Charitable Trust (JRCT) followed the Roddick Foundation’s lead in agreeing to terminate its funding grants to CAGE on Friday. It had formerly expressed reluctance to do so. The JRCT’s decision was prompted by pressure from Britain’s government-controlled charity regulator, at a time when Amnesty International was also reportedly considering cutting ties with CAGE. Amandla Thomas-Johnson, a representative of CAGE, said the group thanks its former trustees for their support. He said CAGE had anticipated the decision, after William Shawcross – a leading representative of neo-conservative think tank the Henry Jackson Society – became head of the commission. However, he said both the JRCT and Roddick foundation have played “a significant role” in contributing to the development of “Muslim civil society” in Britain. In a formal statement, the JRCT said its decision to cease funding CAGE had been influenced by regulatory pressure. It said the move was also prompted by a desire to “protect the interests” of all its grantees and the wider work of the trust. The charity added “due legal process” is imperative for all individuals, irrespective of what reprehensible crimes they may have committed. Without this legal process, destructive “cycles of violence” may never be broken, it suggested. The Charity Commission said it inquired about the nature of donations handed to CAGE by the JRCT and Roddick Foundation, and subsequently requested the charities cease awarding grants to the advocacy group. It cited a risk to public trust as a primary concern. “Given the nature of [CAGE’s] work, and the controversy it has attracted, the Charity Commission has been concerned that such funding risked damaging public trust and confidence in charity,” it said. The Commission insisted it had concerns regarding CAGE prior to the Emwazi revelations. It said these concerns were compounded by CAGE’s responses to media probing over its connection with the Islamic State militant. 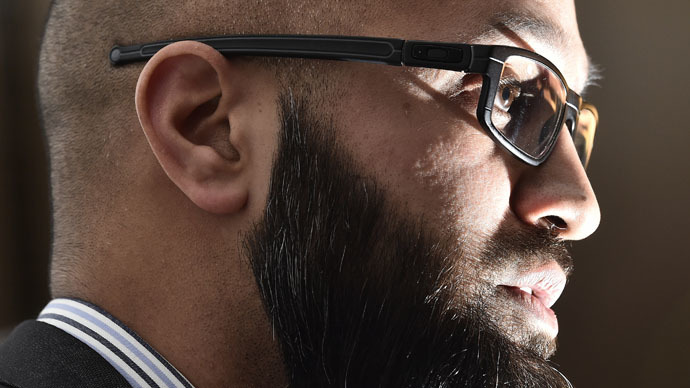 In the wake of reports identifying Emwazi as ‘Jihadi John,’ CAGE director Asim Quereshi revealed the group had liaised regularly with the West Londoner in previous years. CAGE maintained UK security services had played a role in radicalizing Emwazi, and appeared hesitant to explicitly denounce his actions. Following the JCRT and Roddick Foundation’s decision to sever funding ties with CAGE, a spokesperson for the group said he respected the charities’ decision. Nevertheless, he insisted the human rights group’s commitment to “speaking truth to power” would remain resolute. The Charity Commission confirmed last week it has “scrutinized” the JRCT and Roddick Foundation’s links to CAGE since December 2013. RT asked the commission on Friday whether its inquiry had uncovered anything unusual with respect to CAGE’s financial activities. The regulator failed to answer the question directly, but said it planned to publish a related report once the probe is complete.